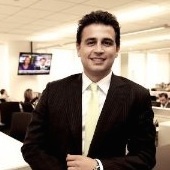 Mushegh Tovmasyan has left his role as Director of Alpari to become CEO of Divisa Capital Group LLC and reaffirm his presence with the firm in a bid to initiative a series of new initiatives across the B2B and prime of prime realm. “Meet The Experts” spoke to Mr. Tovmasyan, who offered to explain the fundamental impetus behind this move as well as the future direction the firm was headed in. As an established and distinguished leader and veteran of the forex industry, Mr. Tovmasyan’s renewed focus on Divisa will soon culminate in a number of exciting new prospects, platforms, and developments. His exclusive interview can be read below. 1. Is this a new role for you? 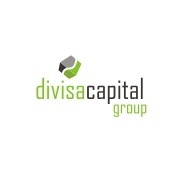 I actually founded Divisa Capital Group in 2008 at the midst of the financial crisis aiming to fill a niche in the industry of providing top tier technology/liquidity to small and mid size financial institutions. My role with Divisa was minimized two years later when I was recruited by Alpari to help them restructure and achieve certain targets. I had a good team in place with Divisa so I felt confident removing myself and taking on the Alpari challenge remaining solely as hands off shareholder with Divisa. Now I am back at the helm and intend to expand our product and presence. Divisa started as a New Zealand based provider of Prime services in FX and Metals. Initially the focus was aggregation of top liquidity using Currenex ECN and distribution to MT4 brokers but it quickly expanded to sophisticated in house aggregation using custom version of PrimeXM’s xCore technology and distribution into numerous trading platforms and venues. In 2013 Divisa expanded by acquisition of the FCA regulated arm of US based MB Trading and after regulatory approvals launched our London office. 3. Does Divisa Capital Target A Niche Market Or A Broad Client Base? While active since 2008, we have managed to stay away from traditional marketing, rather our growth has been organic and relationship based. Divisa is strictly B2B and not retail, and this is what ultimately differentiates us from others. Due to this setup we have remained a specialized boutique shop without the massive operational burden derived from retail infrastructure. We strive to provide a top tier PB type of pricing and the only way to achieve that in current market conditions is keeping costs down to pass on the savings to the clients. Our technology allows us to act both as Maker and Taker in various venues and we do the typical bridging and FIX API into client platforms. 4. What Is Your Role At Divisa And How Does This Impact Future Developments? I intend to be a day-to-day CEO working on strategy and leading the team towards greater products and efficiency. One of our big new hires is Norbert Lukasiewicz from Integral who shares my vision and will be a key member of the Divisa team. He is a respected veteran in the industry brings a wealth of insight and knowledge. 5. Why Do Others Brokers Not Implement A Similar Offering? Banks and HFT funds do not cater to margin side of the business – accepting deposits from clients, limiting audience to larger clients who can afford top tier PB relationships. Big retail brokers have what is needed but intimidate b2b clients, as ultimately they are direct competitors targeting the same retail clients in various parts of the world. Besides the conflict of interest the bigger brokers have a very high operational cost, which doesn’t justify the few dollars per million profit margin that would be captured from Prime clients thus they are forced to act as market makers managing risk creating even bigger conflict of interest. Conversely, smaller brokers don’t have the means to have a comparable offering. This is an extremely relationship-based industry with high regulatory and capital costs. Piecing together credit lines, liquidity, technology and selling with very tight margins is not an easy task. In this sense we are unique and pride ourselves on it.